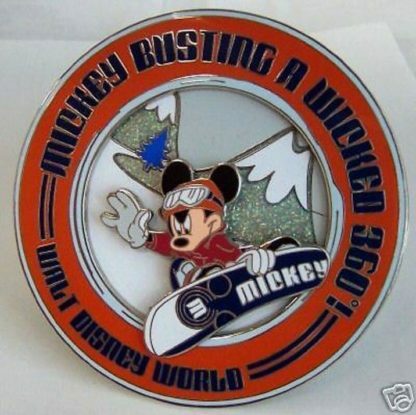 Disney Walt Disney World Mickey Mouse “Mickey Busting A Wicked 360” Snowboarding Jumbo Featured Artist Limited Edition 750 Movable 2005 3D Pin New In Special Box. NOTE MICKEY ICON ON SNOWBOARD!! 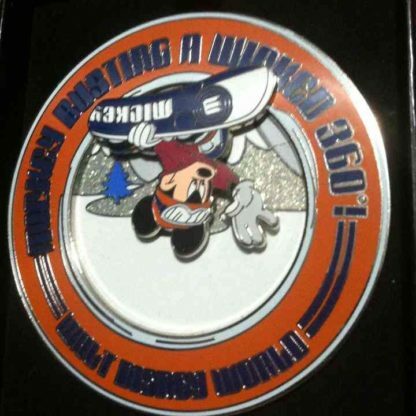 MICKEY MOVES 360 DEGREES AROUND PIN. APPROX. 3.5 INCHES IN DIAMETER. 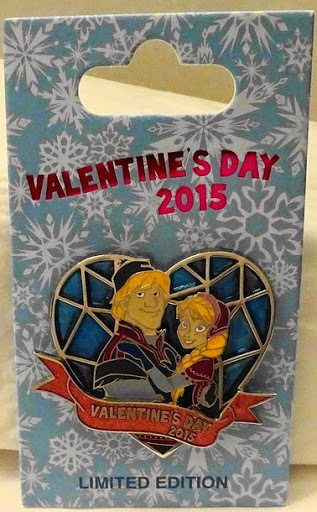 HAS 2 PIN POSTS AND 2 MICKEY EARS PINBACKS. 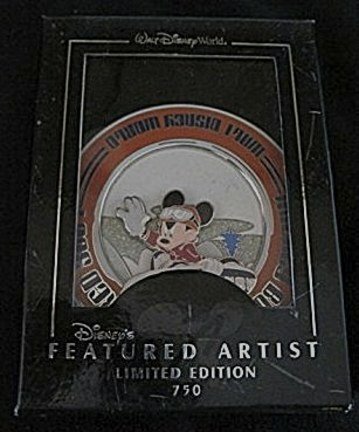 This Collectible Disney Jumbo Limited Edition 750 Pin makes a great gift for yourself or someone you know!!! 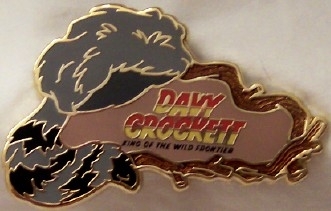 2005 OFFICIAL TRADING PIN. PIN TRADING AROUND THE WORLD. 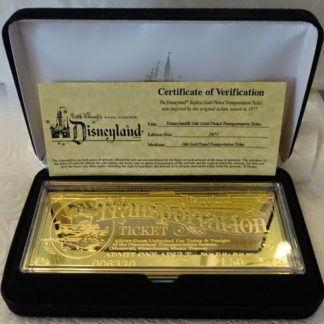 Box may have minor shelf wear as sold by Disney including rips, tears, folds, and/or creases..
Pin may have minor nicks and scratches as sold at Disney. 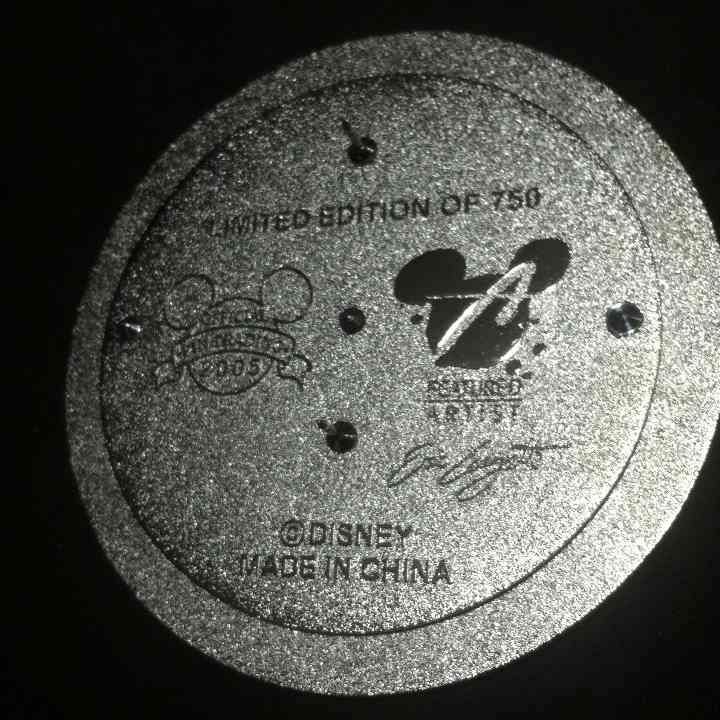 Mickey Ears Pin Backs may have imperfections as sold by Disney such as missing ears or size differences.